If you have an SLR with a zoom lens attached, the answer is pretty damn heavy. A large SLR body, such as a Canon or Nikon with a 24-105mm lens attached feels like a tank; forget the 70-200mm. Of course there are many situations when using a zoom lens is ideal. However, I’m hoping to try and convince you to ditch the zoom lens for a prime. But what if I need the zoom? What if I don’t have the perfect focal length? – I have heard those questions more times than I can count. A wise photographer once told me that you will get the same amount of good shots no matter what lens and camera you use; they will just be different. Zoom lenses can be just as limiting as prime lenses, and prime lenses can be much more freeing than zoom lenses. By walking out the door with a single prime lens, you are limiting yourself. There are certain shots that you will not be able to capture, that is a fact. However, the benefits can far outweigh that single negative. Prime lenses cause you to take more time to compose your shot, since will you need to zoom with your feet. This can make you think more critically about your composition. 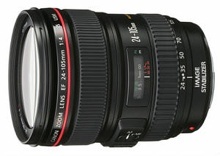 A prime lens will free you up to focus on the subjects in the range that the prime lens works best at. You will become much better at finding things within that range and your work will be more consistent because of these limitations. A prime lens makes you think in a certain way, since it is tougher to use. The limitation ends up being an advantage in the long run. Think about how many famous photographers throughout history used prime lenses. Prime lenses are lighter. They make your camera more fun to take out. You don’t need a heavy camera bag and you will be able to walk further, explore more, and capture more images. You will have a bounce in your step that you didn’t before. You will be able to bring your camera with you on a daily basis. That will more than make up for missing out on a few shots that a zoom lens could capture. Photography will become more fun! It will become more of an element of your everyday life, versus something that takes planning to do. After awhile you will learn to see specifically in that focal length, and this is where things really click. It will almost feel like the camera isn’t there. You will be faster and more intuitive as a photographer. This is all because you ditched the zoom in favor of the more limited prime lens. Oh, and did I mention that prime lenses are cheaper than zooms? Any money that you will spend purchasing a new prime lens will be saved in medical bills from your neck and back eventually giving out from the weight of that gigantic zoom lens that you use now. So what focal length should you choose? I prefer a 35mm lens (on a full frame). It is just wide enough to work well anywhere but not too wide. 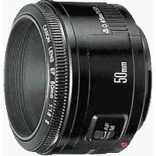 Other common focal lengths are 28mm, 50mm, and 85mm (which is a fantastic focal length for portraits). Rent a few lenses and try them to see what you like best. After a few days of using a prime you may realize that the real limitation was with your zoom lens.